To keep things affordable, try to focus your attention to mostly 3-gallon plants. These typically range from $15-$20. You really only need one or two 7-15 gallon plants, and you’ll probably want to make them your primary focal points in the flowerbed (especially if you’re starting from scratch). That leads to our next topic. If you are starting from scratch, it’s actually better to start in the fall. The fall tends to be the best time of year to plant. There just happens to be a lot more available in the spring. Don’t let that discourage you, though. For those of us that aren’t exactly “green thumbs”, April showers work wonders in helping to establish those new plants! Be sure before you rip out every plant in your flowerbed that there aren’t any that you want to keep. Sometimes leaving a few older plants and incorporating some new ones into the mix gives your bed a little more maturity. When you’re buying, remember to get plenty of evergreens, such as Boxwoods. You don’t want a flowerbed that’s beautiful for a few weeks then bare the rest of the year. Keeping that in mind, if you like color, pay close attention to bloom seasons when you’re buying plants. This will allow you to have color year round, instead of having everything bloom at once, then fade away. One last tip is to pay attention to scale. Make sure the scale of the bed meets the scale of the home! If you own a two-story home with a high-pitched roof, you’re probably going to want to purchase taller plants and do a deeper garden. On the other hand, if you own a single story home with low rooflines, you may be able to get away with some smaller plants. For more information on landscaping, contact Scott at (662) 429-3611. He and his employees would love to help you design the perfect flowerbed! If you purchase from them, Scott will even drive to your home to give you some tips! If you’re looking to buy or build a new home, visit www.gustafsonproperties.com and contact us today! If you’re building or looking to build a new home, popular design choices will be very important to you. There is a wide range of options and, often times, customers can become overwhelmed in the decision making process. Let us offer some suggestions to help! For some advice, we reached out to Emily at Magnolia Lighting in Hernando, MS. According to her, one of the most popular choices among lighting as of now is the Salento Collection (Item #: 6006-6-70, see picture below) by Quorum. Customers seem to love the white/off-white distressed look. From a home builder’s perspective, oil-rubbed bronze is the way to go with interior/exterior hardware and plumbing fixtures. Over the years, this option has practically become standard in homes and few customers would have it any other way. The “distressed white” seems to be popular all around. We also spoke with Amanda from Quality Cabinets in Hernando, MS to get some feedback on customer purchases. According to her, the Vanilla Bean option (hazed and glazed or not) appears to be a best seller among cabinetry. For more information on lighting, hardware, or cabinetry, feel free to visit these excellent showrooms. Magnolia Lighting is located at 470 Hwy. 51 N, Hernando, MS and Quality Cabinets is located at 1662 Hwy. 51 S, Hernando, MS. Gustafson Properties has been dealing with representatives at both of these locations for years now and would recommend them to any customer! If you are interested in building a new home or would like more information on design choices, visit our website at www.gustafsonproperties.com and contact us today! Thank you! Let’s Design A Dream Master Bath! What if you had the opportunity to design a dream master bath? What would you do? One of the most popular features in a custom home is the master bath, but what does it take to make a standard bathroom something exceptional? If a dream master bath is something you look to focus on in the future, here are some tips that may help you with the design decisions you’ll have to make! First, pay close attention to lighting! Install some obscured glass windows to get plenty of natural light! While “frosted” globes look nice, they have a tendency to sometimes kill too much light. 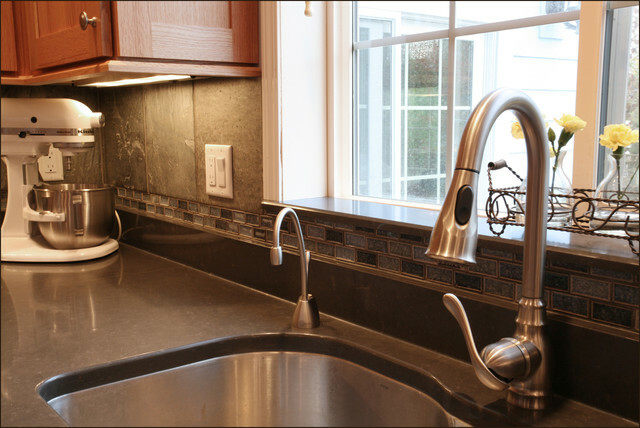 Consider clear globes (or an option where no globes are necessary) and incorporate dimmer switches into the plans. Give privacy where it’s needed. Many baths simply offer a divider wall between the toilet area and the rest of the room, but if we’re designing the perfect bathroom why not go ahead and close it off completely. Give yourself a little space! Do a separate his/her vanity. If the square footage allows, do a separate his/her closet as well! Remember to be symmetrical with the layout of these features, possibly using the tub as a centerpiece. While we’re on the issue of tubs and showers…GO BIG! Remember jacuzzi tubs are a popular choice but jets are known to collect some dirt and grime. If you don’t want to worry yourself with the constant cleaning of jets, you may just consider an oversized soaker tub with plenty of top space on the tub deck for all of the necessities! The same stands for showers. The bigger the better! With a good-sized shower and the proper placement of the showerhead, you can even avoid installing a shower door (which is also a harbor for soap scum and grime)! Consider installing a rain head! If you don’t want to now but may later on, stub the plumbing up for it. This will make it easy to come back and add. One thing every practical bath must have is plenty of storage space. A custom built-in linen shelf is a beautiful addition to any bath. Along with that add a hamper area for the clothes. Finally, consider an accent wall! Not just any accent wall. Most master baths that stand apart from the rest have that “earthy” feel. Bring some natural elements into the picture! Install brick or stone on one of the walls, possibly in the shower! Choose a granite vanity color that compliments it. What suggestions do you have? Comment on Facebook beneath this blog. If you’re looking for a local contractor to build your dream master bath or if you’re in the market for a custom home, visit www.gustafsonproperties.com and contact us today!